Austin Burke graduated from University of Missouri Columbia in 2011 with a Bachelors degree in Communications. After graduating, Austin spent 6 years working as a Major Account Executive with a technology sales company in St. Louis. In 2017, Austin joined Cindy J. Burke LLC as a Financial Advisor/Paraplanner. Austin holds the Series 7, Series 66 securities registrations as well as being a licensed Health and Life Insurance producer. 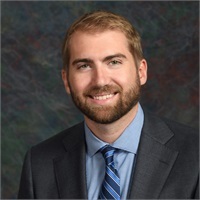 Austin is a Registered Representative with Cetera Financial Specialists LLC and an Investment Adviser Representative with Cetera Investments Advisers LLC.